Abbigale Austin – BWPA Flying Start Scholarship 2017, worth £1000 towards a first flying qualification. Abbigale is an artist and animator who, since her first flight, has become passionate about aviation, travels a long distance for her flying lessons whenever she can afford them, and will be using this award towards completing her PPL in fixed wing flying. Zoe Mallam – BWPA Flying High Scholarship 2017, also worth £1000 for those who already have a flying qualification in any field, to be used towards further qualifications in the same or different types of flying, or further training or experience. Zoe, who at only 17 is already an experienced glider pilot and a Caroline Trust Ambassador raising funds for young people’s gliding, plans to use the award towards obtaining a powered aircraft licence with the longer term aim of operating sea planes and vintage aircraft. 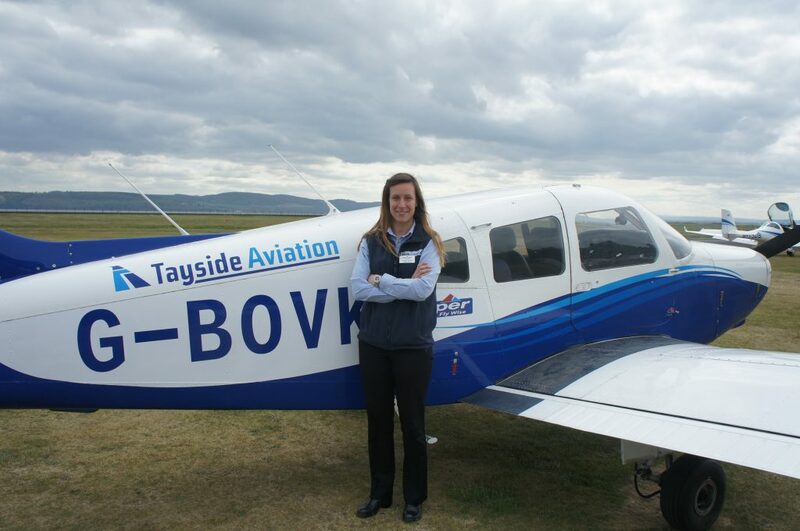 Claire Birch – BWPA Air Total UK Flying Futures Scholarship 2017, an award of £1000 donated by Air Total UK to a qualified pilot for a project which is realistic, feasible, and well planned as well as being individual, interesting and ‘different’. Claire, previously an RAF officer and Tornado F3 fast jet navigator, will use the award towards her detailed and very well planned project of undertaking a ’round Britain’ flight visiting many new airfields as a part of building hours towards a commercial licence. She also plans to spend time en route to meet with schools and girls groups to raise awareness of the opportunities in aviation (for the latest news on this flight, see news elsewhere in this issue – Ed). Sue Tuddenham – BWPA Saul-Pooley Renewal or Revalidation Scholarship 2017, an award of £500 donated by Dorothy Saul-Pooley, BWPA member, flying instructor and examiner and previously the first woman Master of the Honourable Company of Air Pilots, towards the renewal or revalidation of a licence or rating previously held in fixed wing or helicopter flying. Sue, a commercial pilot currently working in the corporate sector as a First Officer flying the Citation C560XL/XLS, plans to use the award towards renewal of her recently expired SEP rating, aiming in future to provide experience flights to young people as a part of the BWPA supported Aviatrix Project. Sam Cundey – BWPA CATS CPL/ATPL (A or H) Scholarship 2017, worth £1599 and donated by CATS to cover their ground school element for a CPL or ATPL (A) or (H). Sam has managed her own livery yard, is a qualified Horse Riding Instructor, and worked as an Ops Manager at Redhill Airfield, where she completed her PPL and developed her love of flying. She is currently undertaking her MEP training and, as she very much enjoys teaching, now plans to complete her commercial licence to become a flying instructor. Sarah Reed – one of the two BWPA BGS ATPL (A or H) Scholarships 2017, donated by BGS, each to cover the cost of half their ground school element for an ATPL (A) or (H) (the full course being £2,350). Sarah is a marine biologist currently working for the British Antarctic Survey at Rothera Research station and has diving and yachting qualifications. She also has gliding and fixed wing qualifications, has raced gliders, and now plans to obtain a commercial licence to enable her to fly professionally in remote regions. Amelie Windel – one of the two BWPA BGS ATPL (A or H) Scholarships 2017, kindly donated by BGS, each to cover the cost of half their ground school element for an ATPL (A) or (H). Amelie obtained her PPL in Morocco, and converted to a British PPL in 2011. Aerobatics is her passion, and she has already flown in various competitions. She plans to obtain a commercial licence to enable her to instruct professionally, especially in aerobatics, with a focus on being a role model for women in aviation. The BWPA say that with a total of 86 applications this year, many of which were of an outstanding quality, selectors had some very difficult decisions to make. They would very much like to thank all applicants, and encourage those who did not receive an award this year to look out for the BWPA Scholarship 2018 announcements, and consider applying again.